We spend all our lives in the pursuit of various pleasures, wealth and fame expecting these will give us total fulfillment. Yet, each moment of joy is only that: momentary, showing up the rest of our lives to be unsatisfying, somehow lacking and incomplete. On the other hand, Vedanta, the body of knowledge found at the end of the Veda, asserts with breathtaking boldness that one's true nature is completeness and limitlessness. Vedanta also promises that moksha, liberation, from all forms of limitations that seem to bind a human being, is possible here and now. 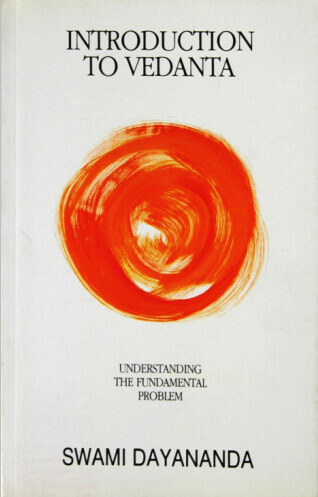 In this lucid, lively introduction to Vedanta, Swami Dayananda shows how man's constant struggle to overcome these limitations through the ceaseless pursuit of security and pleasure are pre-destined to failure for the simple reason that they are misdirected: they stem from a failure in understanding the real nature of the fundamental problem itself. All effort howsoever great or unremitting being limited, the result of such effort is also bound to be equally limited, inadequate. The road to freedom from limitation, then, can scarcely lie that way. Indeed, asserts Vedanta, it is only to be found in the correct knowledge of one's true nature as absolute. This vital first step, a clear understanding of man's fundamental problem of ignorance and error about his real nature is what this book is all about. A classical interpretation for the modern mind. For centuries the Bhagavad Gita has remained the single most influential philosophical text shaping Indian thought and life. It addresses itself foursquare to the universal limitations each human being is confronted with: ignorance, sorrow and death. The teaching of the Bhagavad Gita opens with the audacious statement that all these are illegitimate problems caused by ignorance about the real nature of the self. Drawing upon the essence of all Upanishads, Gita explains how the self, the atman, is limitless, indestructible, unborn. This knowledge, Brahmavidya, frees one from all sense of limitation. This is the principal teaching of the Bhagavad Gita. Swami Dayananda's is a classical vedantic interpretation of the Bhagavad Gita. Without getting lost in a rigid verse-by-verse translation, he plunges with great verve and energy into the central theme of the Gita, unerringly picking and choosing key verses to highlight its message. 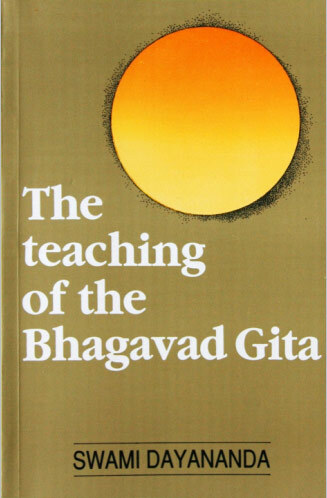 A highly respected and very popular teacher of Vedanta, Swami Dayananda succeeds marvellously in conveying the profundity of the Bhagavad Gita, unfolding its teaching with a style and clarity which will appeal to every modern mind. 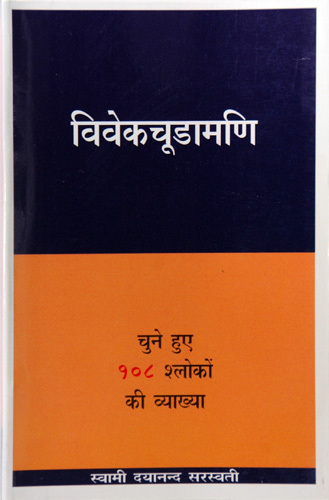 The author, Swami Dayananda Saraswati is a renowned traditional teacher of Vedanta. He has established institutions of learning in Anaikatti (Coimbatore), Rishikesh, Nagpur, and at Saylorsburg, USA. Being an uncompromising teacher of the tradition, his scholarly depth in Sanskrit and Vedanta, along with his all-comprehensive perspective of life, do convince us that the classical masters are still available. There is no wonder that he has an unparalleled world-wide audience. Sri Swamiji's outstanding contribution to the cause of Vedanta is his students. There are more than 250 of them today, with their own teaching centres, carrying on the tradition of teaching all over India, and the world. Sri Swamiji has founded the 'All India Movement for Seva', an organization, which is engaged in the social and welfare activities in rural and tribal India. 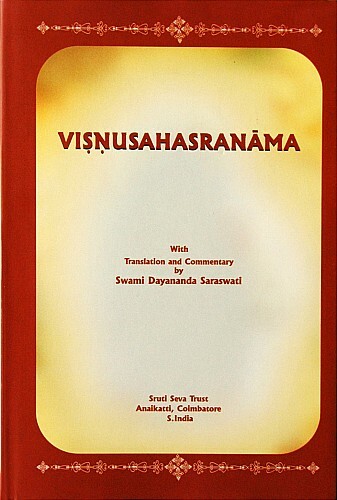 The Vishnusahasranama consists of one thousand names of the Lord. Most of these names are drawn from the Vedas, while the others are from the Puranas. The interpretation of these words is highly consistent with the vision of Vedanta. Sri Swamiji has clearly shown that all that is here is nothing but that one Ishvara.